The action of taxifolin on the angiotensin-converting enzyme (ACE) and the formation of reactive oxygen and nitrogen species (ROS/RNS) in the aorta of aging rats and rats treated with nitric oxide synthase inhibitor (N ω-nitro-l-arginine methyl ester (L-NAME)) or dexamethasone have been studied. The ACE activity in aorta sections was determined by measuring the hydrolysis of hippuryl-l-histidyl-l-leucine, and the ROS/RNS production was measured by oxidation of dichlorodihydrofluorescein. 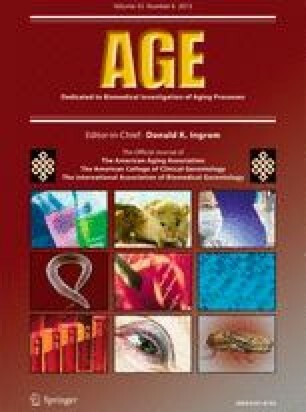 It was shown that taxifolin at a dose of 30–100 μg/kg/day decreases the ACE activity in the aorta of aging rats and of rats treated with L-NAME or dexamethasone to the level of the ACE activity in young control rats. Taxifolin (100 μg/kg/day) was found to also reduce the amount of ROS/RNS in the aorta that increased as a result of L-NAME intake. L-NAME treatment increases the contribution of 5-lipoxygenase and NADPH oxidase to ROS/RNS production in the aorta, while taxifolin (100 μg/kg/day) decreases the contribution of these enzymes to the normal level.